UNH has earned a STARS Platinum rating — the highest possible from the Association for the Advancement of Sustainability in Higher Education (AASHE), held by only three higher education institutions in the world — in recognition of its sustainability achievements. STARS, the Sustainability Tracking, Assessment & Rating System, measures and encourages sustainability in all aspects of higher education. 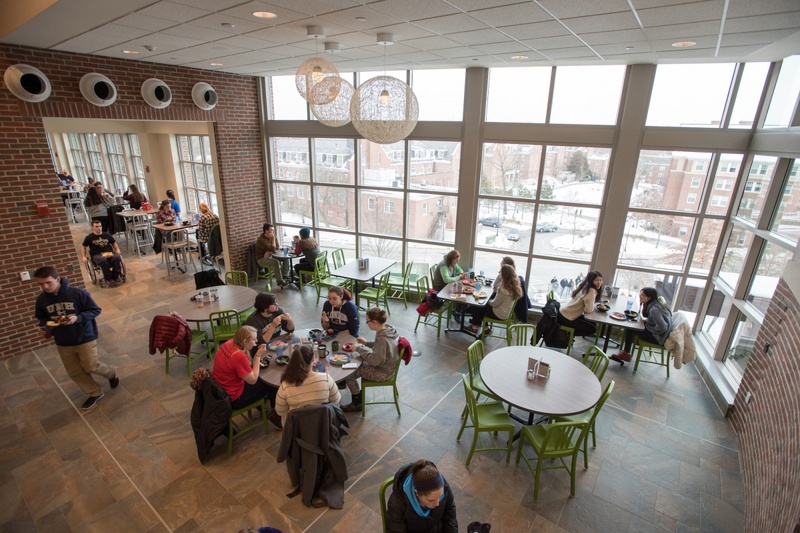 In addition to the Platinum rating, UNH is a fixture on Sierra Magazine’s list of “Cool Schools” and is one of 24 universities to receive a perfect score on The Princeton Review’s Green College Honor Roll. To learn more about sustainability at UNH, the STARS report is publicly available. “We are very proud to have achieved the STARS Platinum rating,” says Miriam Nelson, director of the UNH Sustainability Institute. “Our campus community champions efforts to grow and nurture sustainability, and while we will celebrate our accomplishments, we also look forward to watching our sustainability efforts grow and improve as a result of the STARS initiative.” Nelson notes that obtaining Platinum status required a university-wide effort by faculty, staff and students to document and expand the work being done. 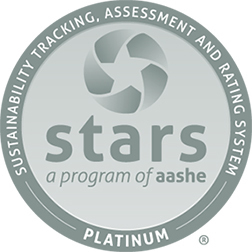 More than 400 institutions have earned a STARS rating, making AASHE’s STARS program the most widely recognized framework in the world for publicly reporting comprehensive information related to a college or university’s sustainability performance. Participants report achievements in five overall areas: academics, engagement, operations, planning and administration as well as innovation and leadership. UNH participated in the original STARS pilot group in 2008, earning a Gold rating in 2011 and 2014. Unlike other rating or ranking systems, this program is open to all institutions of higher education and the criteria that determine a STARS rating are transparent and accessible to anyone. Because STARS is a program based on credits earned, it allows for both internal comparisons as well as comparisons with similar institutions.